Experiencing a rough patch in your relationship? Just started a new relationship and want to begin on the right foot? This digital planner and audio is your solution. Complete on your own or with your partner. Identify and communicate your needs, deal breakers, and more. Includes the Being Love guided meditation. Do you want to improve your relationship? Do you want this to be the one that actually lasts? Are you at a cross roads in your current relationship? We tend to plan most aspects of our lives. We plan our day, our meals, our workout schedules. We love to plan vacations! But how much time do we spending planning our relationships? It’s time to change that. Don’t leave this up to chance. It’s too important. 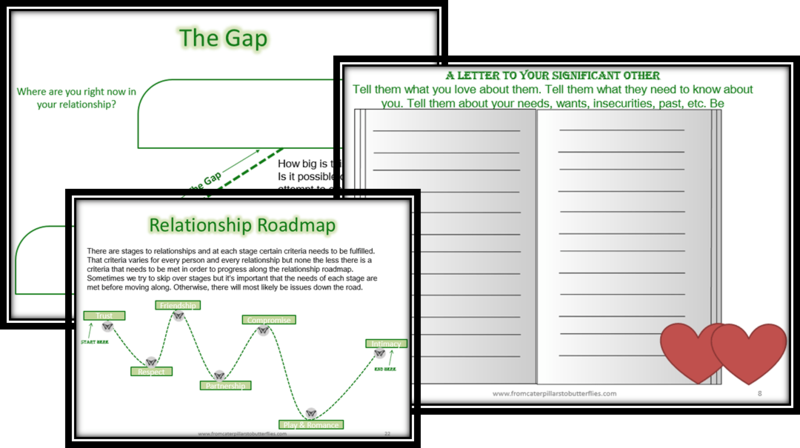 The Transform Your Relationship digital planner is designed to help you and your partner grow together in your relationship. Learn and appreciate that you, yourself just as you are are love. Rest in the love that originates from you. This is a digital product. Author makes no guarantee to the effect of this planner on your relationship.